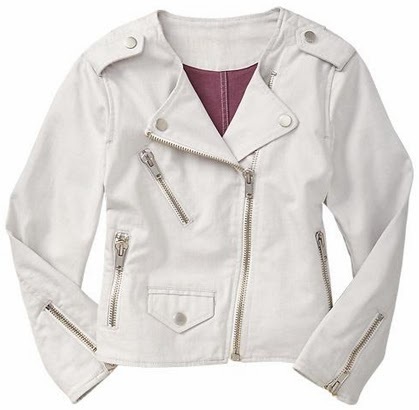 This white denim moto jacket will add a flash of fresh-edgy-cool to any spring outfit. Greatly versatile, too! * Get 25% off today only at Gap with the code TREAT at checkout. Denim (i.e. this jacket), bags, and leather and suede apparel are excluded from the sale. loving the high low choices (like always). The jacket may need to come home with me! !